First introduced in 2016, the Executive Skeleton Tourbillon was an audacious combination of classic watchmaking codes with a hyper-modern, sporty and radically skeletonised dial. It also marked the brand’s first attempt to position its products at more competitive prices and play to a younger, slightly hipper crowd. 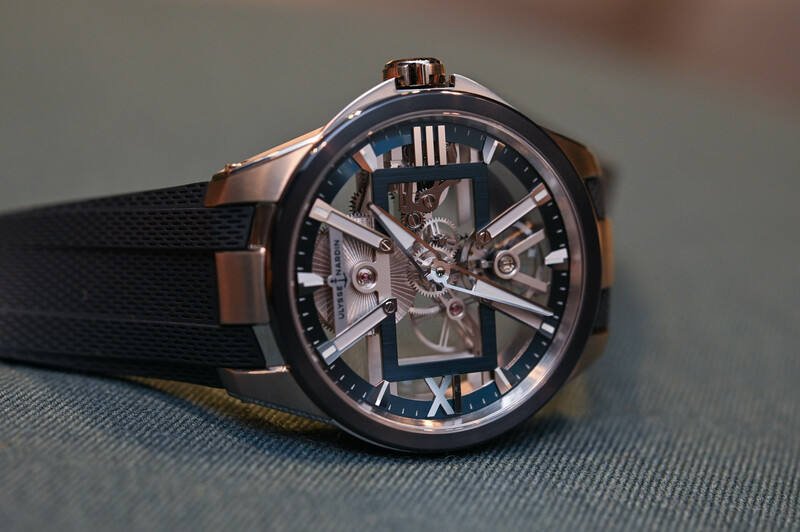 Priced at CHF 38,000 back in 2016, the good news for fans of the brand is that UN has taken the skeletonisation to even sportier terrain, jettisoned the tourbillon and contained the price to about a third of its predecessor – starting at USD 17,500. 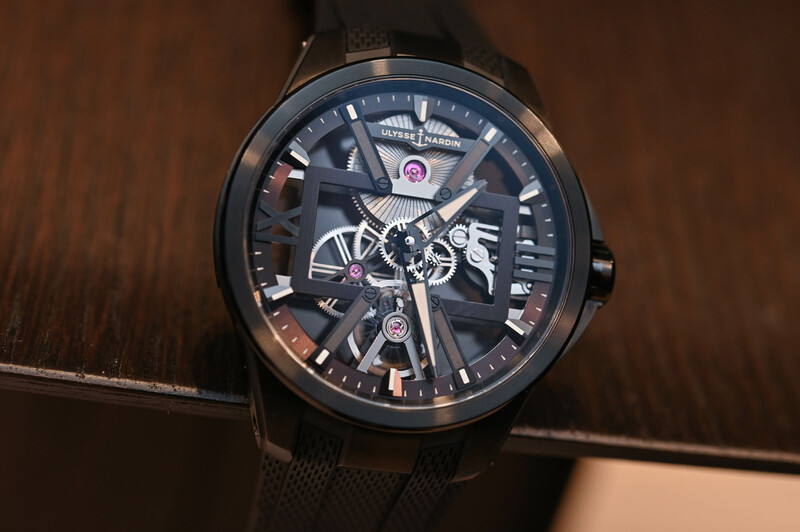 Meet the new Skeleton X with its highly contemporary aesthetics and openworked movement. 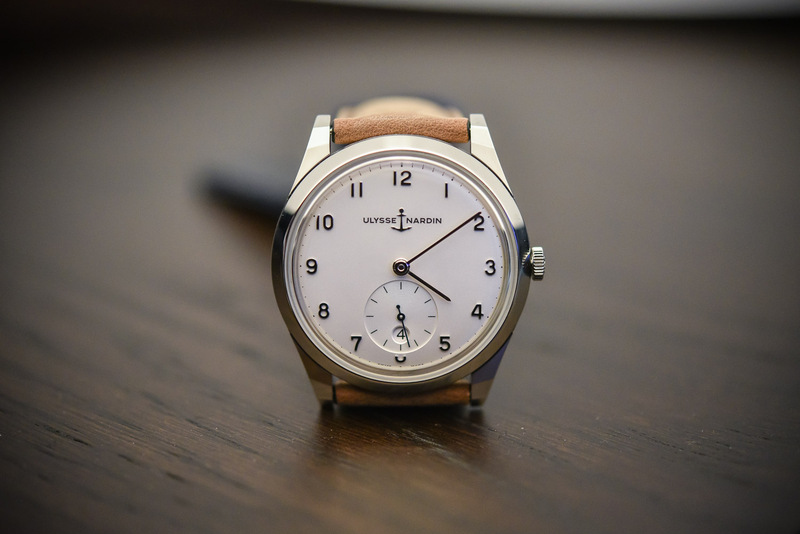 The shape of the Skeleton X case has been totally revisited and downsized, abandoning the round 45mm case of its precursor to a more stylised, more elongated case shape with a 42mm diameter. 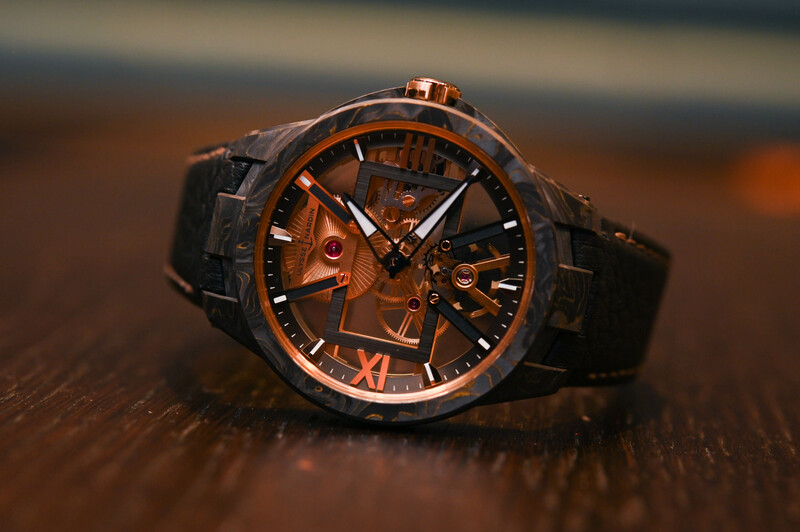 Presented in four satin-finished iterations –titanium, titanium black DLC, rose gold, and Carbonium® Gold – the most radical version is the Carbonium® Gold, which has a slightly larger diameter of 43mm. A material generally reserved for the production of aeronautic wings and fuselage, Carbonium® is a super-light, high-performance material made from carbon fibres. According to the brand, the production of lightweight Carbonium® has 40% less environmental impact than other carbon composites since it uses remnants from aeronautical pieces. 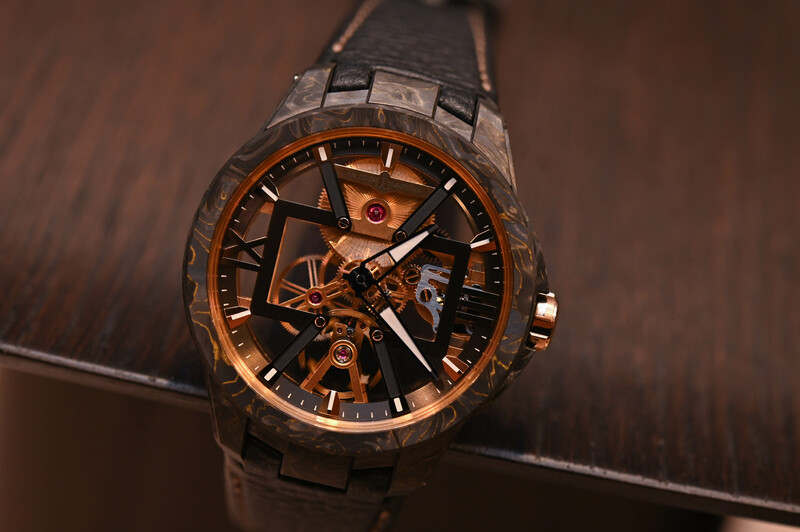 The fusion of this high-tech material with gold creates Carbonium® Gold and gives the Skeleton X watch case a unique black and gold wave effect, in keeping with the brand’s nautical roots. 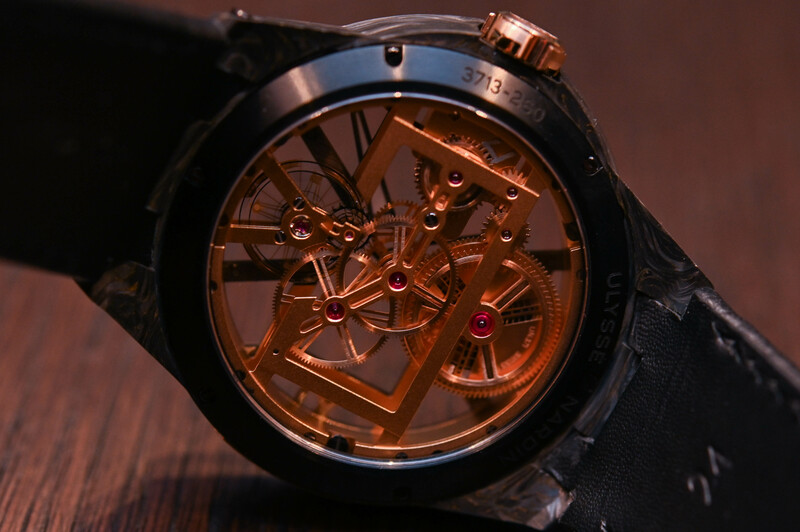 The architecture of the dial offers a spectacular view of the movement, which is anchored by a central rectangular bridge with four arms that form an ‘X’. The prominent Roman numerals of the Executive Skeleton Tourbillon have been reduced to just two – at III and IX o’clock – and, with the exception of the black titanium model, contrasting colours have been used to accentuate the bridges and minute track. Behind the vaporous architecture, with its contrasting geometric shapes, you get a full view of the trademark extra-wide Freak Vision silicium balance wheel with nickel flyweights and stabilising micro-blades along with the new manufacture movement, calibre UN-371. 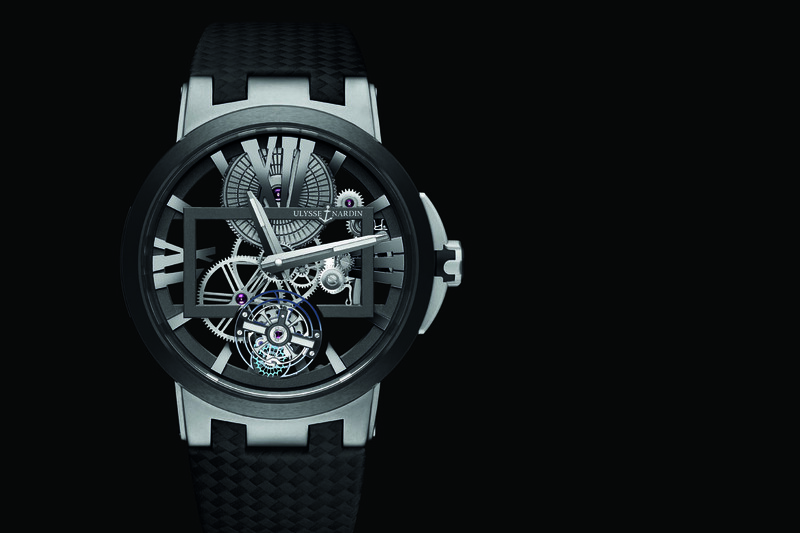 Based on the UN-171 movement, the new UN-371 calibre of the Skeleton X family has been completely redesigned. 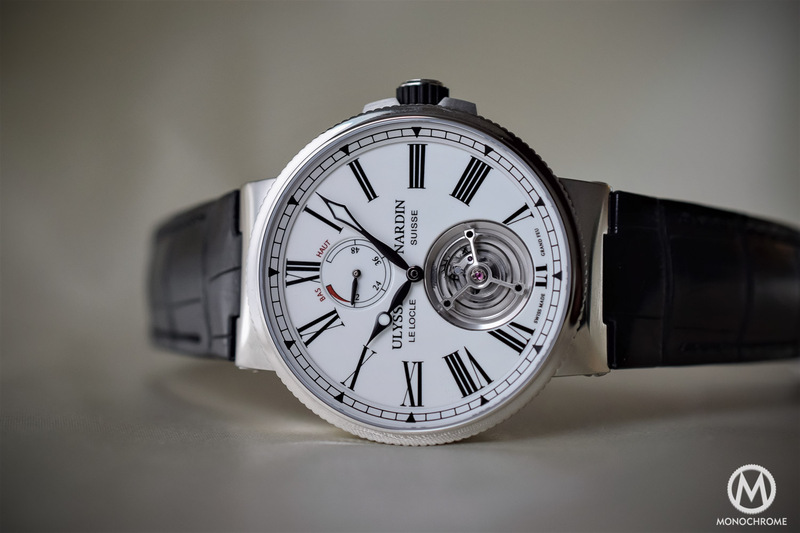 A manual-winding movement, calibre UN-371 houses a silicium gear train and balance wheel (3Hz) and a sturdy power reserve of 96 hours, which can be consulted on the caseback via a window. 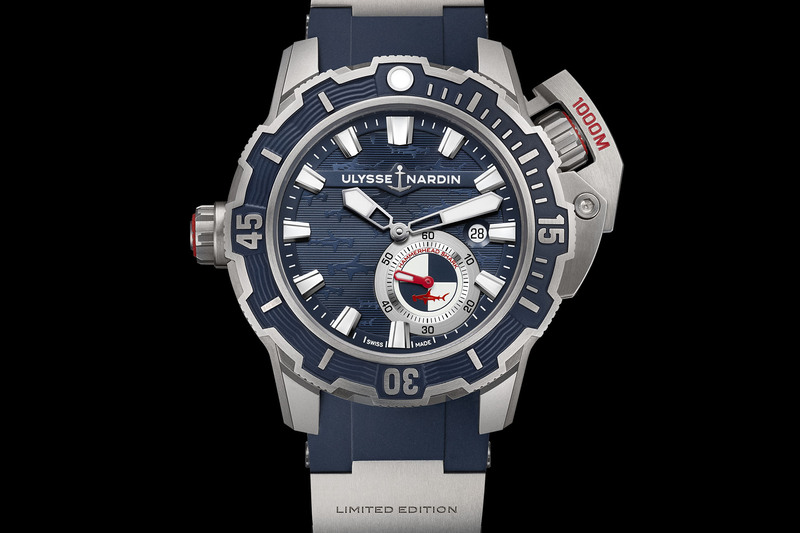 All four models are presented on a choice of rubber or alligator strap and are water-resistant to 50m. The price of the two titanium models is USD 17,500, the Carbonium® Gold USD 21,000 and the rose gold USD 29,000. 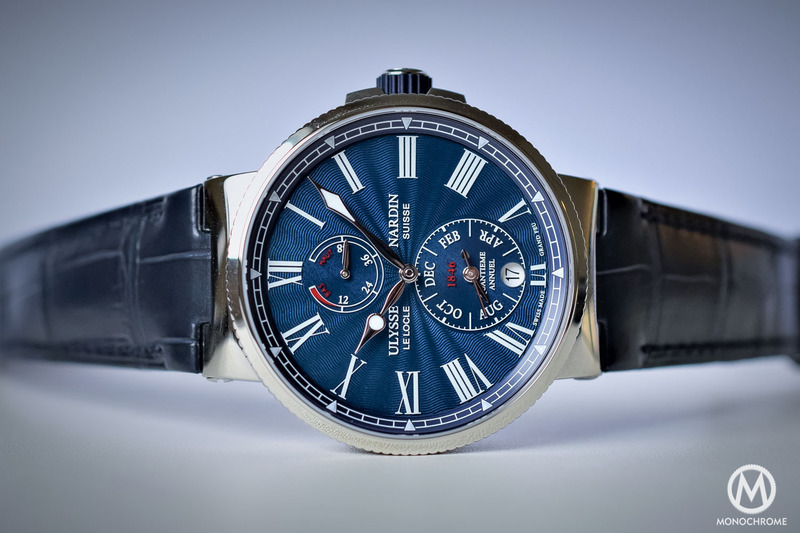 For more information, please visit www.ulysse-nardin.com. Has the watch industry always referred to Silicon as Silicium, or is this a recent thing? Bugging me.